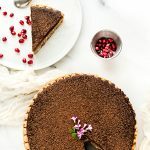 A Pumpkin Pie Recipe with Pecan and a Chocolate Topping is a fun twist on traditional Thanksgiving desserts, and may be a nice change of pace from the usual suspect pies that you often see on Turkey Day. I am all about keeping up with the customaries of watching six hours of football, spending the day with family and of course eating way too much food. I do however like to break tradition and mix it up with the food I prepare. Sometimes it’s a play on a traditional Thanksgiving dish.. for instance I’ve made yams many different ways and guests appreciate having something they totally didn’t expect, yet still fits with the holiday. I think that goes for this recipe too. It is quite different from a store bought pumpkin pie, pecan pie or most any of the holiday’s pie recipes you’d find online. I actually brought this pie to a potluck last year and by the end of the lunch it was almost gone (while a traditional pie sat next to it almost untouched). The consistency and taste are unique and delightful, and the topping is quite attractive and lures people in for at least a small piece! Initially I wasn’t sure whether mixing pumpkin, pecan and chocolate might be too many combinations and confuse my taste buds, but the flavors and mix of smooth and crunchy work quite together. Another great thing about this pecan pie recipe is that it is a little bit healthier option to many of the traditional Thanksgiving pie recipes I’ve prepared. One thing that helped in this department was my use of SPLENDA® Naturals Stevia Sweetener. 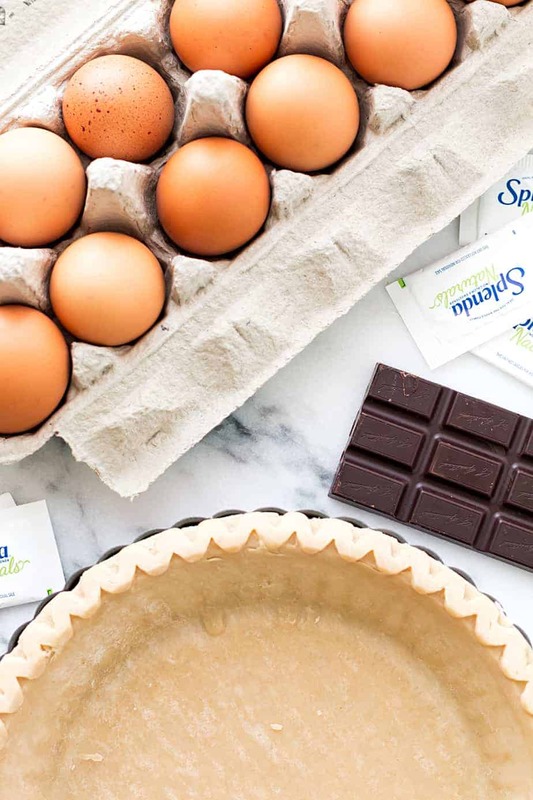 This definitely isn’t the first time I’ve featured SPLENDA® Sweetener Products in my recipes, and the others have gone over very well with those readers that viewed and tried them. I did a little bit more research and found that SPLENDA® Naturals gets its unique sweetness from Reb D, which has no bitter aftertaste. 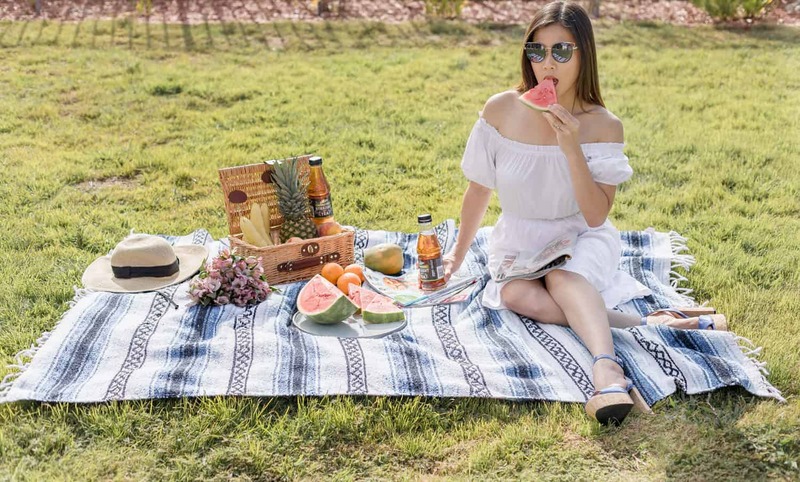 The no-calorie natural sweetener is my favorite as far as its taste, and I’m a big backer of it having no added flavors or colors and no preservatives. To boot it has only non-GMO ingredients. Another thing that makes this pie a healthier option than some others out there is the pecan filling. Nuts do have fat but it’s a good fat that our bodies need. Thanksgiving is definitely a holiday that you should partake in, in some way shape or form even if you are on a diet. You can find delicious food options with much less quantities of those things you’re trying to avoid, case in point being this pie recipe. From salads to the cranberry sauce and even with stuffing there are many ways out there to prepare great dishes. Some say to relax diets altogether for the holiday but I am of the camp that tries to find those dishes that are far healthier, and actually taste better, too. This pie is by no means as healthy as eating a big salad, but hey on Thanksgiving I want at least a couple of pieces of pie (!!!) and being able to eat one that has a tasty replacement for sugar in both the pumpkin and pecan filling makes me very thankful indeed. For more SPLENDA® Naturals Recipes, please visit : https://www.splenda.com/recipes/category/splenda-naturals. Think Sugar, Say SPLENDA®, Use SPLENDA®. So here’s my Fall Salad with Orange Vinaigrette Dressing recipe . In a medium mixing bowl, add pecan halves, unsalted butter, vanilla extract, salt and SPLENDA® Naturals Stevia Sweetener. Stir until well combined. In a large mixing bowl, beat the eggs, pumpkin puree, milk, Splenda and spice using an electric mixer for about 1 minute. Pour the pecan halves in the bottom of the pie shell and layer with pumpkin mixture. Bake for about 35 minutes or until a knife inserted in the center comes out clean. In a small microwave bowl, combine semisweet chocolate chips and butter. Heat in the microwave for about 30 seconds, then stir until smooth. Pour the chocolate mixture over the cooled pumpkin pie or drizzle before serving. What a great way to lighten up desserts! Your pie looks amazing. I use regular Splenda all the time and I’ve been wanting to try the naturals. I need to make this pie ASAP. great way to make it more appealing to those of us who are counting points or calories. Its so hard around the holidays to enjoy and still behave! LOVE this!!! I always think that pumpkin needs a little kick! This is perfect for that! YUM! Oh this looks delicious. I am bringing pumpkin pecan pie on thanksgiving!! We used Splenda to make a pecan pie last year and although it did not hold together well, the taste was great! Oh my gosh this looks mouthwatering! I am looking for something to take to my in-laws and they love pecan. I think I’ll try this! Those pictures are amazing. It looks delicious. I think my family would like for me to combine all their favorite desserts into one. And I like saving calories. 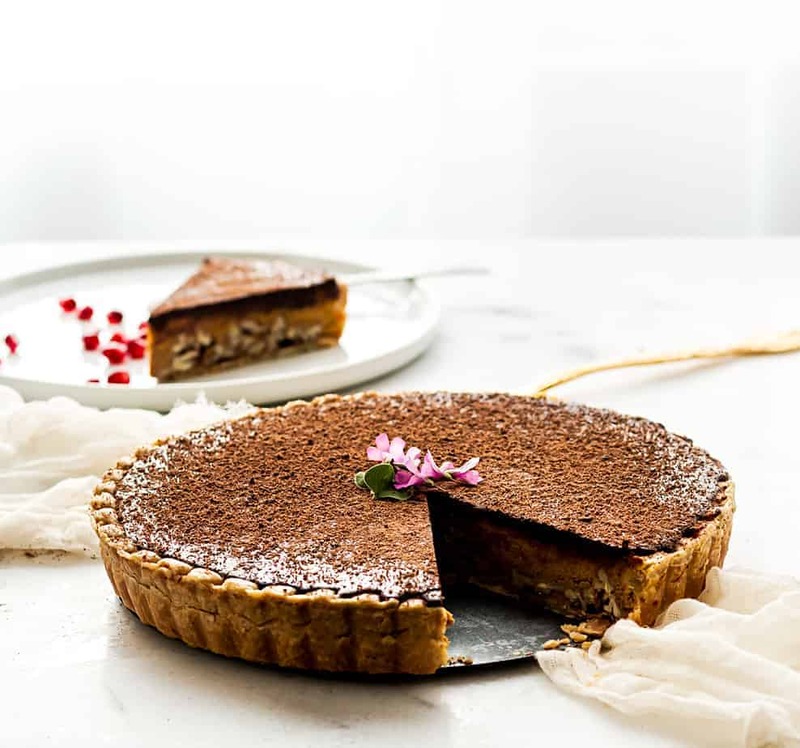 Oh my goodness that has to be the most decliciohs looking pumpkin pie I have seen in ages and Splenda is such a great alternative love that you have used it in this bake ;). Oh wow! I love this twist on a traditional pumping pie! It sounds delicious! This looks delicious. Would have never thought of combining pumpkin pie with chocolate. This is so different and it looks so good. My hubby really love pecans so I’ll have to make it for him! Oh my this actually looks good. I don’t think I have ever tasted a pumpkin pie ever – but with chocolates over there I bet this will taste oh so fine! Love it! 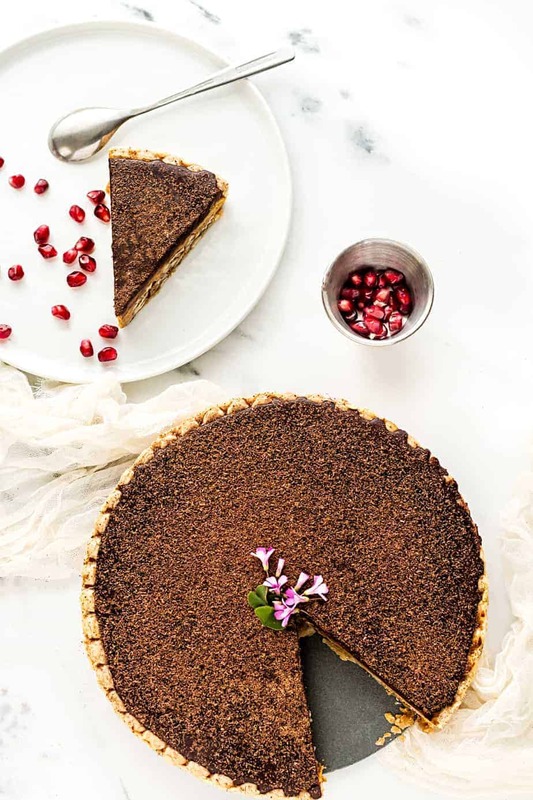 This pumpkin pie with pecan and chocolate topping sounds amazing. We love both pumpkin and pecan pies so this will be a treat to try them together. 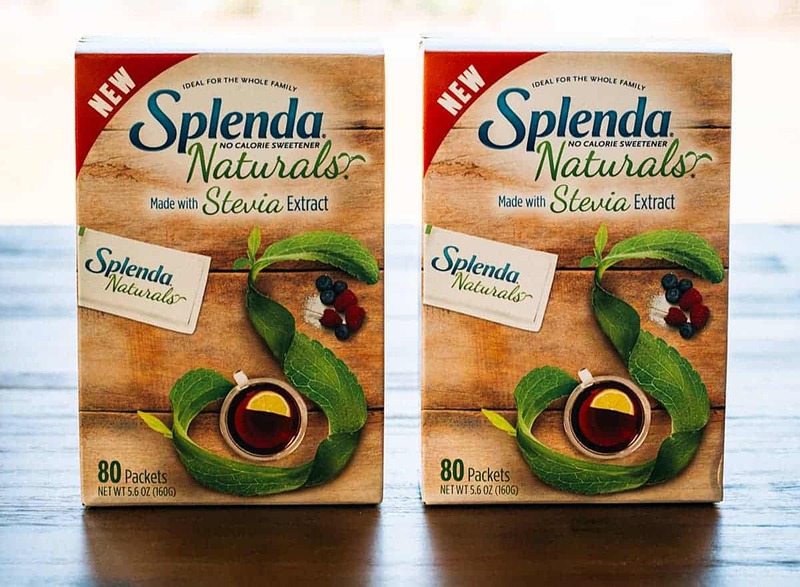 Splenda Naturals Stevia Sweetener is something I will have to pick up for sue this holiday season. Thanks for sharing the recipe. Omg can we say yum?!!! This pie looks absolutely delicious!!! Must give it a try!!! This looks amazing! I’m trying to figure out what deserts we are going to have this Thursday for Thanksgiving! Wow, this looks really delicious. Thanks for haring the recipe. Your photos are gorgeous! This looks absolutely delicious!